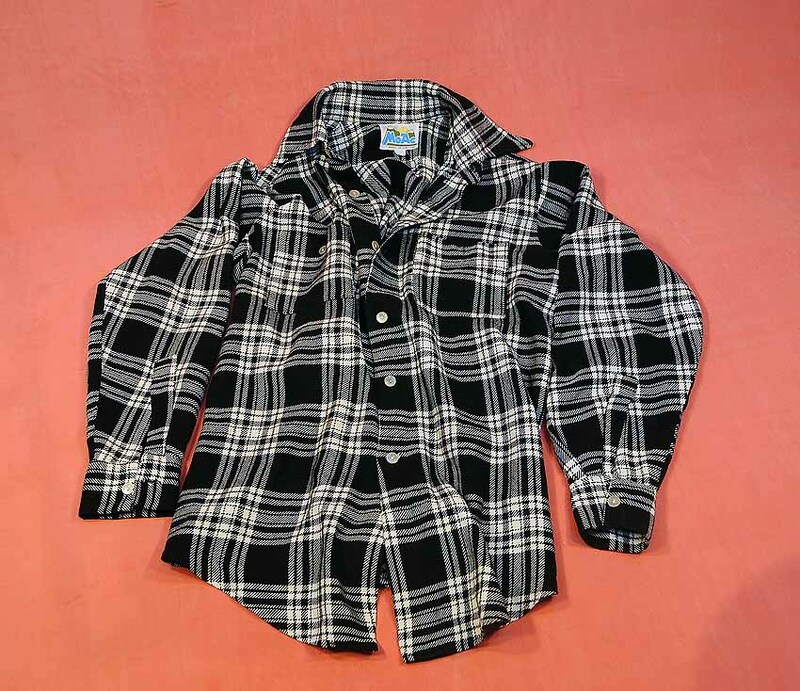 Black and white checked shirt. 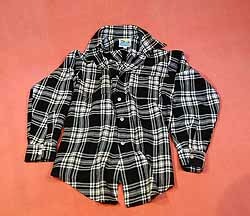 Two buttoned pockets on chest. 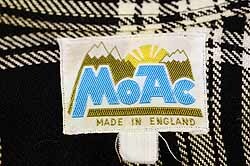 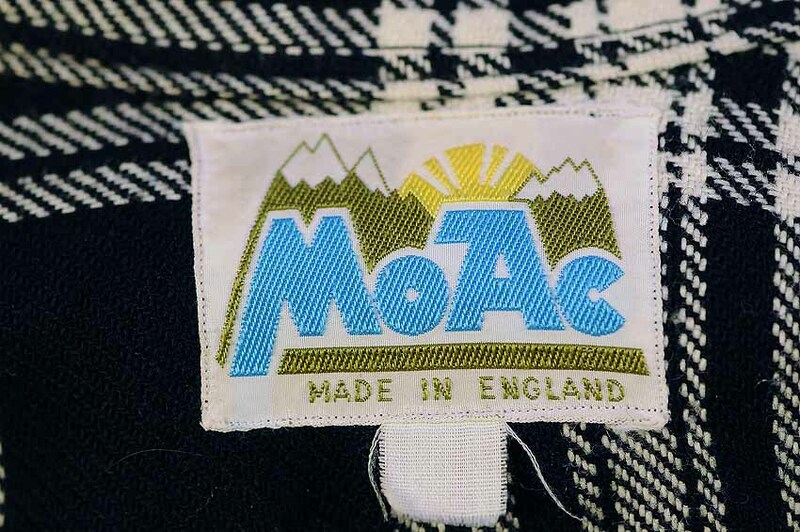 Label inside reads 'MOAC MADE IN ENGLAND' with mountain and sun logo.